Learn how to see your aura! As you’ll see, this practice is similar to meditation. 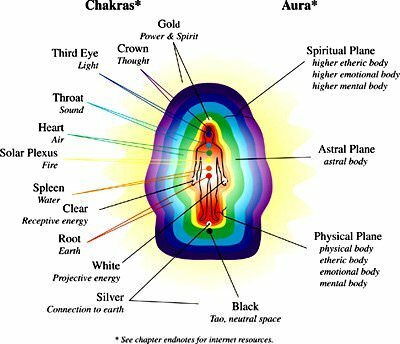 You’ve heard many questions about auras, such as: ‘How can I see my aura?’ , ‘Are there any tips or tricks in seeing auras?’ , ‘What color is MY aura?’ , ‘How long does it take to see an aura?’ In this article, I’ll show you how to see your own aura! First off, you have two main auras that surround your body. Your inner aura is the first one you’ll see and that aura is right outside of your physical body. Your outer aura extends further outside your body and inner aura energy field. Once you learn how to see your inner aura, you can train your eyes to see your outer aura as well. There’s a link at the end of this article to show you how to see your outer aura once you learn how to see your inner aura. Remain focused. Eventually that white or transparent image will expand and will become a noticeable color (on me it’s a thin yellow outline of my body). At this point, you’re seeing something that your mind isn’t used to seeing, which triggers your brain to start thinking, and the aura disappears. It’ll come back quickly and will disappear just as quickly as soon as you think about what you’re seeing. If you can remain focused long enough on your aura, you’ll find that it will expand in waves like to image to the left, perhaps coming in a little closer but gradually going out further away from your body and enveloping other colors. At this point, I see a purplish color, but once if I don’t maintain focus, then, I’ll lose the aura quickly when the aura expands.. The easiest way for me to see my aura is by using what I call the ‘Magic Eye Method’. This is something I came up with when I meditate into a mirror and applied this theory to seeing my aura. 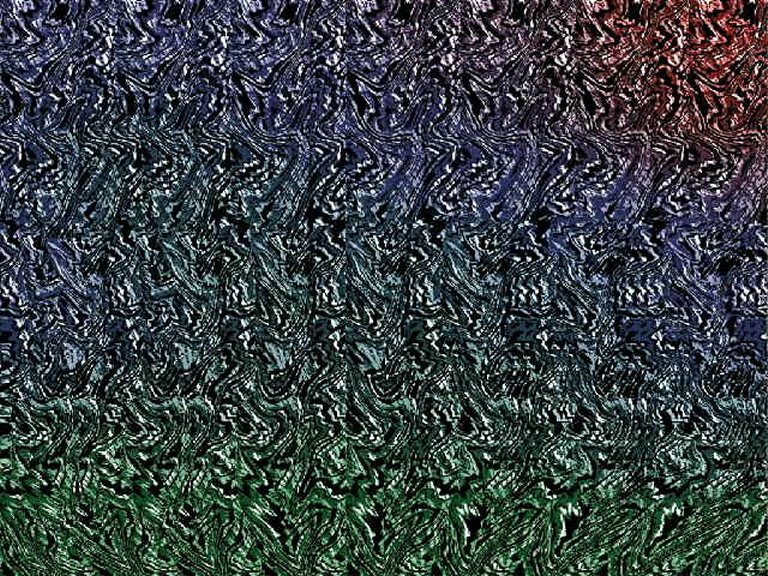 When you view a Magic Eye picture long enough, another 3d picture emerges from the original picture. When you clearly see three squares, hold the page still, and the hidden image will magically appear. Once you perceive the hidden image and depth, you can look around the entire 3D image. The longer you look, the clearer the illusion becomes. The farther away you hold the page, the deeper it becomes. Use this same type of unconventional viewing when trying to see your aura. Stay focused, yet don’t ‘think’ about what you’re seeing. See how far you can extend your aura. In time, you’ll be able to not only see your inner aura, but your outer aura as well! For more information on this, please read, “How To See Your Inner And Outer Auras“. Gregg Prescott, M.S. is the founder and editor of In5D and BodyMindSoulSpirit. You can find his In5D Radio shows on the In5D Youtube channel. Gregg is also a transformational speaker and promotes spiritual, metaphysical and esoteric conferences in the United States through In5dEvents. His love and faith for humanity motivates him to work in humanity’s best interests 12-15+ hours a day, 365 days a year. Please like and follow In5D on Facebook, BodyMindSoulSpirit on Facebook and In5D on YouYube! A matter of personal training, yes i like that.